There are some simple steps to take if you want to know how to measure a room for laminate flooring. This short guide is be targeted towards DIYers that want to install their own flooring. If you have a smartphone, then it’s possible to download apps such as MagicPlan or RoomScan. MagicPlan uses augmented reality technology to measure out a room, and RoomScan measures a room by having you tap your phone on different walls in your home. 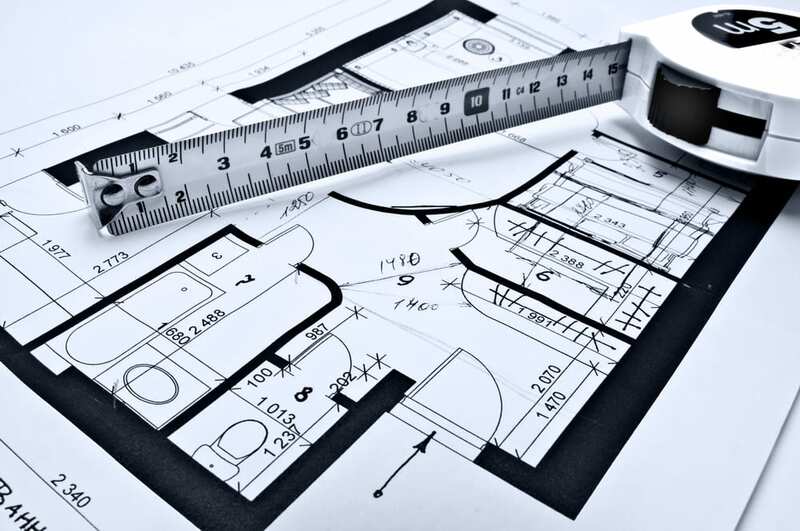 If you’re tech-savvy then these can be great options to get a rough idea of the dimensions in your home. If you use a smartphone, then remember to follow the last two steps. Make sure you accommodate for cuts and waste, and also re-measure to ensure you got the values right. Our blog post goes into more detail. If you’d prefer a more traditional approach, then you’re going to need a tape measure and a calculator. You could always work it out using a pencil and paper, but it’s more convenient to use a calculator. The first task is to figure out the square footage of the room you want to install laminate flooring. To do this, use a tape measure to check the length and width of the room. Multiply the length by the width to get the square footage value. For example, if your room measures 24 feet wide by 18 feet long, then you will do 24 x 18 which is 432 square feet. If there is skirting or door frames in your room, then make sure you measure into them as well. If you have a room with more than four walls, then you’ll need to divide the room into easily manageable shapes. For example, if your room can be split into two different rectangles, then simply split the room into two different shapes and calculate the square footage of each part separately. Once done, add the square footage together and follow the step below to add extra to account for waste. It’s always a good idea to purchase extra flooring to accommodate for cuts and waste. For instance, if you make a mistake and need additional flooring to patch it up, then you’re going to need a little extra. If we use the previous example, then we can simply find 10% of 432 and add it on. 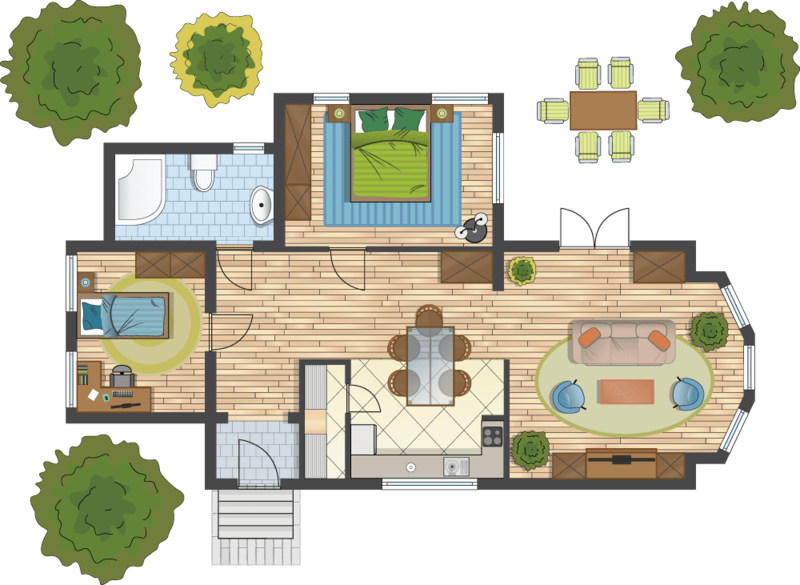 10% of 432 is 86.4 square feet, so it will be 432 + 43.2 which equals 475.2 square feet. This extra 10% is usually enough to account for any mistakes you make, but if you feel like you need more then feel free to bump this up by another 10%. Once you think you’re done, re-measure the room. If you find there is a slight variance, always go for the bigger number to be safe. Buying more flooring than you need is usually fine because you have to account for waste anyway, but buying less is a fatal mistake and will make your DIY flooring project last longer than it needs to. There you go, we hope that helps! Now you need to browse or range of laminate flooring to decide which look you want to go for.